VitrA has introduced its organically designed series Istanbul. The collection is a continuation of the natural line of Istanbul series which includes sink cupboard, infinit sink, illuminated mirror, urinals, Istanbul washbasin and fixtures. 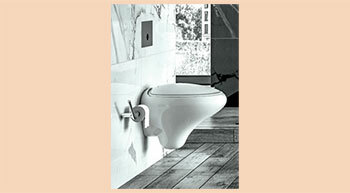 The bathroom furniture of Istanbul series creates a perfect harmony with infinite washbasins and faucets. The design gets an elegant ambience with three-lacquered colour options, namely, burgundy high gloss, white and olive green.